Looking for the perfect centerpiece for this Thanksgiving? This festive cornucopia design is perfect on gifts, table runners, kitchen linens, home decor and other holiday projects! 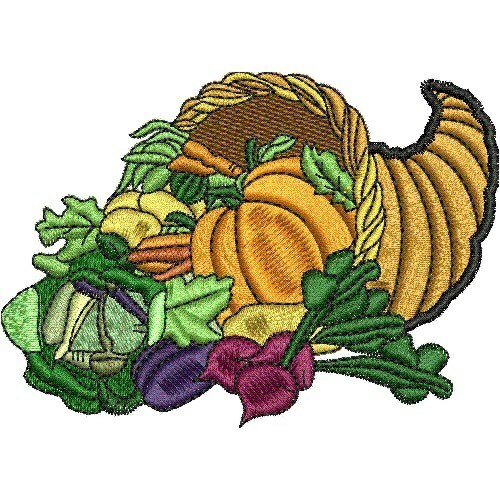 EStitch is happy to present Cornucopia machine embroidery design which has 16460 stitches and is [81.28 mm x 58.42 mm] large. If you would like to view more embroidery patterns please search on our embroidery designs page.